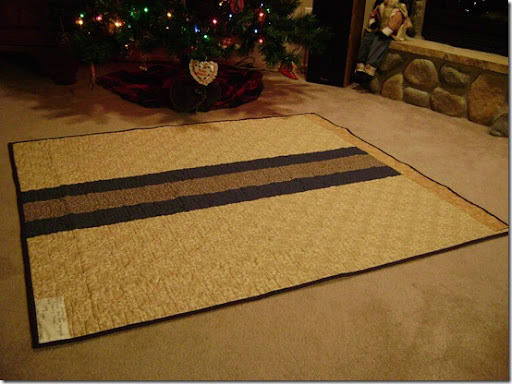 I made the quilt below for my brother Michael and his wife Karen. 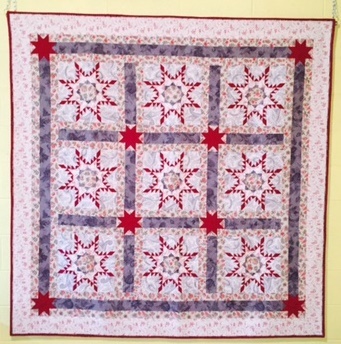 It was made in the Spools quilt pattern and includes pieces of fabrics from quilts I have made through the years, some dating back to the 1970’s. It also includes some fabric from my mother and my aunt (my father’s sister) that date back to the 1930’s and 1940’s. The quilt was made as a surprise for them for Christmas, and I’m excited to share that they have received the quilt and love it. It will hang on the wall in their home. The back was pieced using fabrics left over from the front and includes a hanging sleeve to make life easier. Stormie the Quilt Inspector gave approval for shipping, even though she knew it was going to a home with a dog (Nutmeg). Way to rock the Christmas spirit, Stormie! 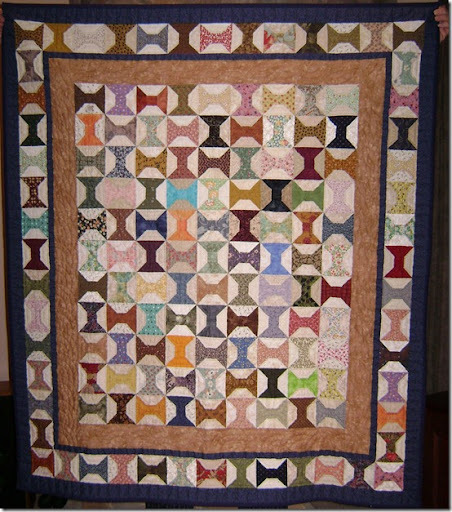 Hopefully I can share a photo of the quilt – called “Family Threads” – in its new home in the future. If you’re a quilter, you know the love that goes into every stich of every quilt you make. May 2012 be filled with lots of loving stitches! glad to hear they love they quilt! Thanks for stopping by my blog and commenting. 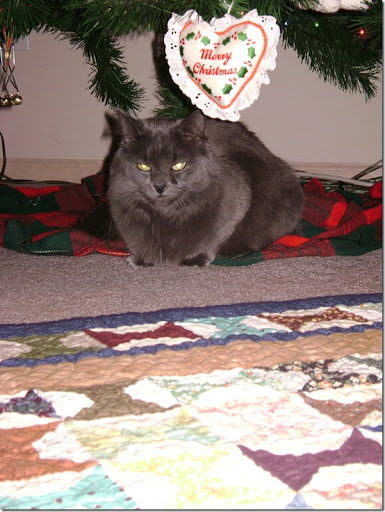 We used to have a gray cat that exact color called Greymond and he always inspected everything for us! Beautiful quilt!